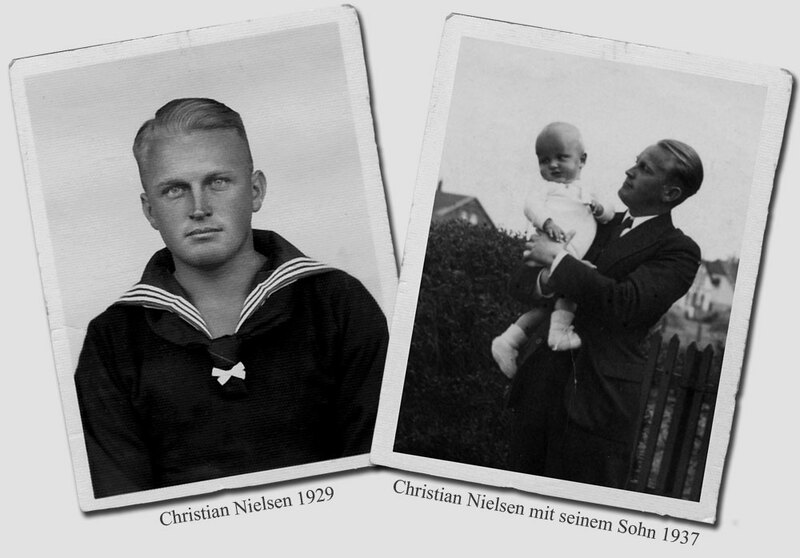 The true story of Christian Nielsen, one of the Hindenburg crash survivors – as told by his granddaughter. An exciting life, a true love und the dawning of a new era. To see the world from above! 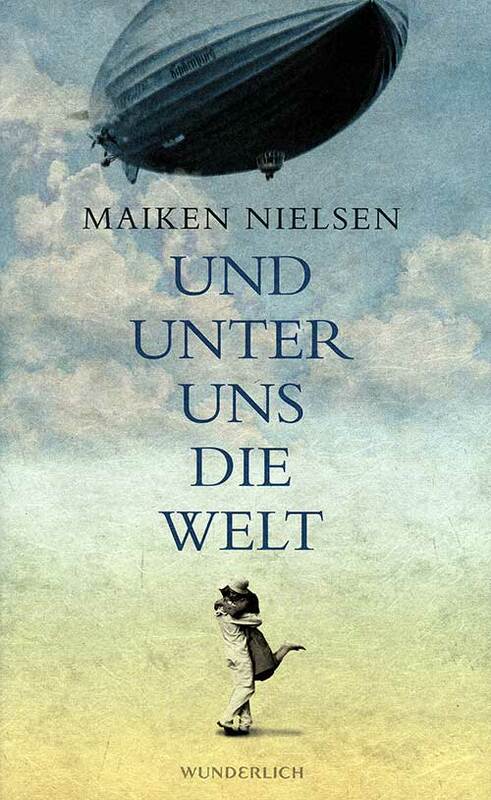 Young Frisian sailor, Christian Nielsen, a shipwreck survivor, yearns to be high up in the air, away from all troubles. 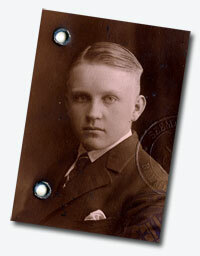 Although his most ardent wish is to fly a Zeppelin, he knows that this dream will not come true. 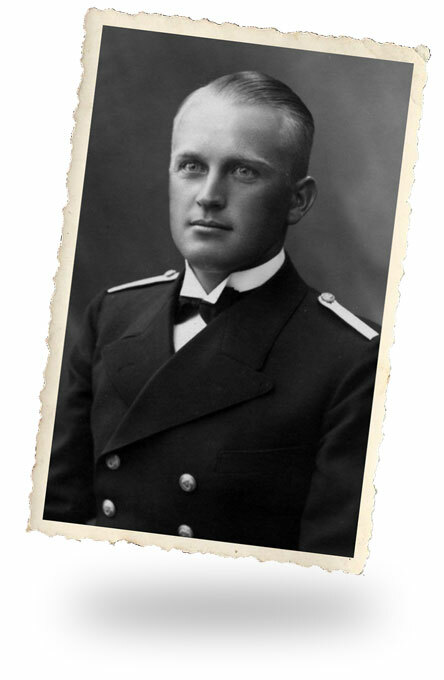 Instead of flying, he settles for just another job as an able-bodied seaman onboard the ORION— the luxury yacht of American textile magnate, Julius Forstmann. A girl literally falls into his arms in New York; it is love at first sight. But Christian is too stunned to even ask her name! The Wall Street crash, later that year, turns the world upside down. After a second encounter in Pearl Harbor, it seems that Christian and Lil have lost each other again, and this time—for good. But Christian’s dream, at least, comes true: after a couple of years of pilot training and a job with the Deutsche Zeppelin Reederei in Friedrichshafen, he joins the crew of the Graf Zeppelin, which allows him to take regular flights to Rio de Janeiro as one of the airship’s navigators. He is husband and father when he meets Lil again. 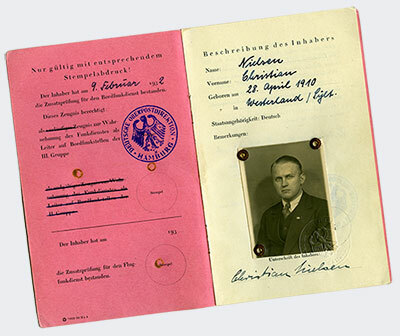 Life has become difficult in Nazi Germany, even for Zeppelin navigators who are opposed to the Nazi regime. Christian has to make up his mind : stay or leave? A German wife or an American mistress? 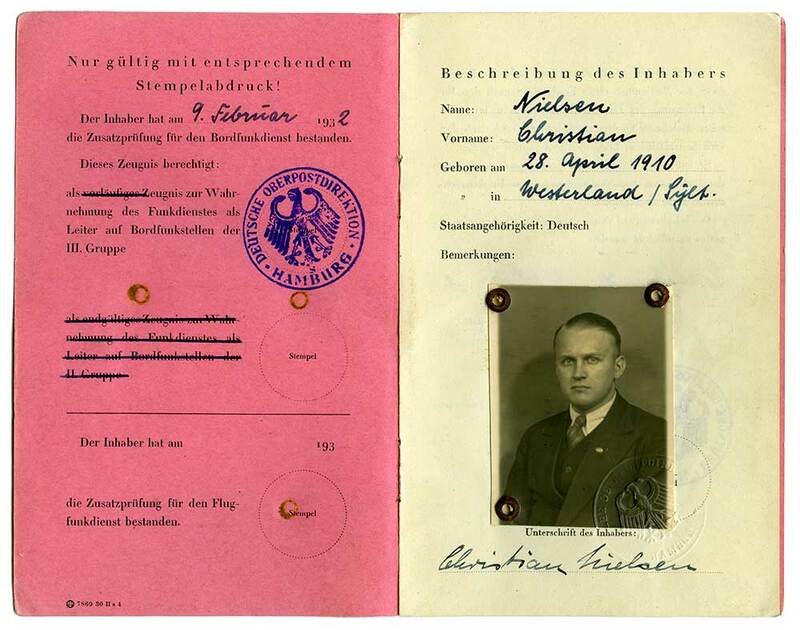 Germany and his dream job as a Zeppelin navigator – or an uncertain life in the US? 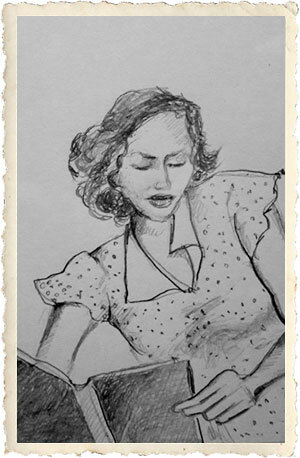 Lil is born in New York in 1910, but she moves with her family to Pearl Harbor. She is a shy girl with an addiction to observing people and writing about what she sees. She meets Christian in New York and then again in Pearl Harbor. Lil Kimming is one of the few fictitious characters in the novel. 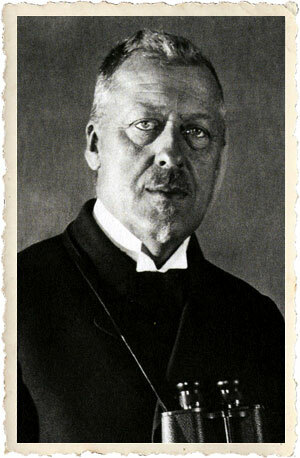 The Zeppelin era is unthinkable without him: the German economist, journalist, airship developer and airship commander, Hugo Eckener. He negotiates with US presidents in order to open up the airspace between the US and Germany. His flight around the world, financed and supported by the American media magnate, Randolph Hearst, makes him the world’s most famous man during the 1930s. The story behind the novel. Everything started with a film. Flames blazing from a Zeppelin. People screaming, bodies falling from windows. Then a male voice: It burst into flames, and it’s falling, it’s crashing!’ My father stopped the film and pointed to a falling figure: ‘That! That is your grandfather!’ I was ten years old. 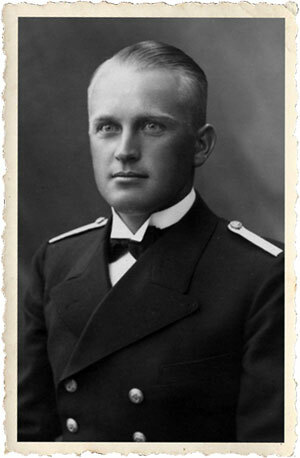 It took me decades to understand what my grandfather, Christian Nielsen, Hindenburg Zeppelin navigator, had done. As a teenager and young adult, I read the beautiful hardback novels he had possessed and in which he had written his name. I kept asking myself: Who was this Christian Nielsen? My father was unable to find an answer himself. He had lost his father at the age of five. The pictures in our photo albums showed a laughing young man who seemed to be constantly surrounded by people, someone who could look earnest and decided at times, too. But, for me, he was just a picture in black and white, a signature in a book. One day my father met a former colleague of my grandfather—a man who was with him on this last flight of the Hindenburg. And he told us something that came as a surprise to all of us: my grandfather wanted a divorce from my grandmother! For the first time, I formed an impression of him as a human being. Then my father started to show me my grandfather’s diary and his last letter. I felt feverish: what a man, what a life! I could not stop thinking about him—and the events he had witnessed. 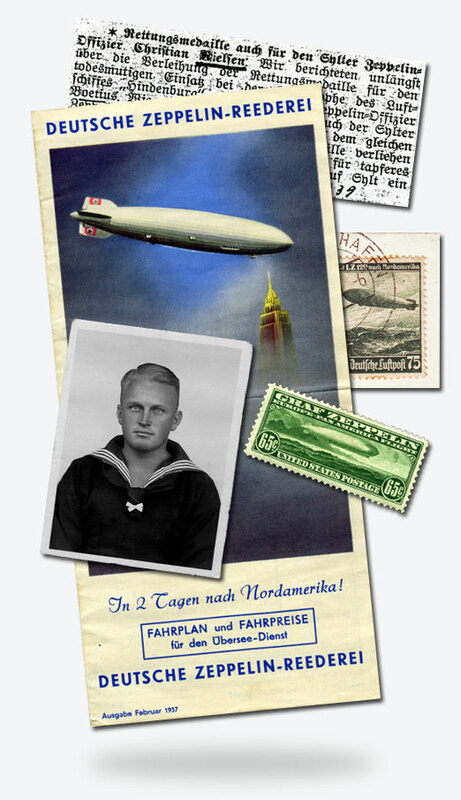 Seven years ago, I started correspondence with Patrick Russell, a Zeppelin expert (facesofthehindenburg.blogspot), who knew some facts about my grandfather that I had ignored. He told me that my grandfather had testified before the US Commerce Department’s Board of Inquiry into the Hindenburg fire, and he sent me the record. I knew it would not be easy to write about it because I did not want it to be just my grandfather’s story; I wanted to depict an era—the unique era between the world wars—the Zeppelin era. I wanted to write about men and women who truly existed. I wanted the story to be as authentic as possible and, at the same time, I wanted it to be a novel. Luckily, I got hold of a diary written during the world tour of the ORION, the American yacht on which my grandfather sailed before his time as an airship navigator. Together with his own diary, his letters and documents as a Zeppelin navigator, and our family photos, I could see him at last. Finally, I could start writing. Maiken Nielsen was born in Hamburg in 1965. As a child and teenager, she spent some time on cargo ships with her father, who had worked as a captain for the merchant marine. 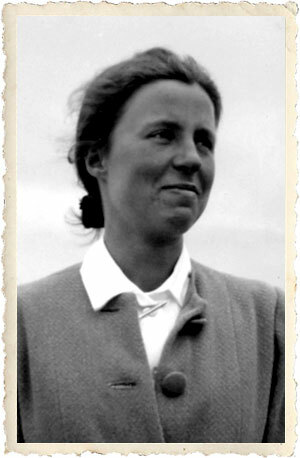 She spent a year hitchhiking in Europe and studied linguistics in Aix-en-Provence in France. She speaks six languages. 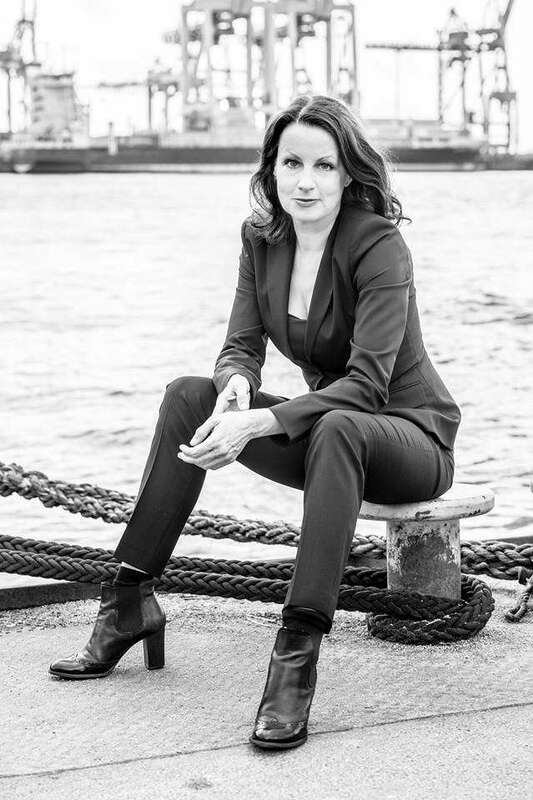 Since 1996, she has worked as a journalist for the NDR (North German Radio). She has produced a TV documentary about concentration camp survivors and writes novels.